Home · Property Management · Landlord Forms : Landlord forms: What Forms Should You Always Have in Your Desk? If you’re a landlord, you need to have forms available for most situations you will encounter renting to tenants. Whether you are renting to new tenants, dealing with troublesome old tenants, or handling day-to-day tasks, you’ll find you’ll be reaching for the following forms again and again. Let’s look at some of them. Whether you’re renting residential or commercial property, you need an application to rent. The application to rent allows you to gather the information necessary for doing a background check on your potential tenant. Having a standard application to rent that is up-to-date with all the information you need is important to have. If you’re renting property, this is one form you simply must have. Once you’ve received an application, you may need to set up a rental agreement, whether or description of the property, a description of the rules required for payment of rent, and a note on how much the security deposit was put down. Along with a rental lease or month-to-month rental agreement, you will need a rental security deposit. This form stipulates how much you charge in the rental security deposit. The rental security deposit can include a general security deposit that covers damages, a pet deposit, a waterbed deposit, a remote deposit, and a key deposit. Occasionally, you will have to refuse to rent to someone due to various problems such as a low or bad credit score, poor references, history of late payments, problems with employment or being unemployed, or other reasons. It’s easier to have a form that you fill in the blank and send on to your applicant rather than needing to type up a formal letter stating your reasons. If you have a particularly good tenant, perhaps you will want to extend the rental agreement with that tenant. Or perhaps your tenant wishes to continue to rent from you. In which case, extending the rental agreement makes sense. By having a form that allows you to easily extend the rental agreement, you can ensure that you have your good tenant longer than what you expected under the old lease. It’s a win-win for everyone. You’ll need to have in your desk a form when you have a tenant who is late on their rent. By keeping it in form format, you stay professional and simply layout how much is due and when the tenant will be charged more for a late payment. If your tenant has failed to make payments, the next step is to send him a notice to pay rent or quit. What this does is that it puts the tenant on notice that eviction proceedings will be starting if the tenant does not pay within a specified amount of time, usually three days. 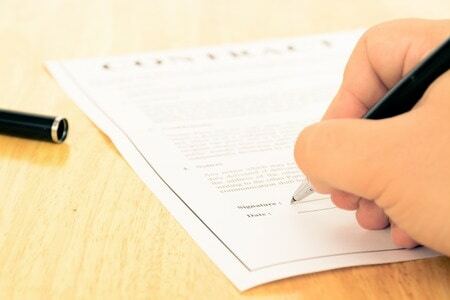 This way by using a form letter with the appropriate wordage, you can be sure that you are legally covered should you have to evict the tenant. Like the notice to pay rent or quit, this form letter allows you to specify how the tenant has broken the release agreement, and gives them the right to cure so that they still may rent from you. If they refuse to fix the problem, the next step will be eviction. By using a form letter, you can be sure that you are legally covered should you have to evict the tenant. You can find these forms and more here.